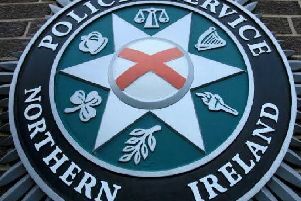 A 45-year-old man has been charged with attempted possession of a prohibited weapon following raids by detectives investigating paramilitary activity in connection with the INLA. He is due to appear at Derry Magistrates' Court on Wednesday, December 19. He has also been reported to the PPS for possession of Class C controlled drugs with intent to supply and possession of criminal property namely cash. A 40-year-old man arrested on Wednesday by detectives investigating paramilitary activity in connection with the INLA, meanwhile, has been released pending a report to the PPS for the offences of possession of Class C controlled drugs with intent to supply and possession of criminal property namely cash. And a 57-year-old woman also arrested on Wednesday by detectives investigating paramilitary activity in connection with the INLA has been released unconditionally.